Plop! is the hilarious tongue-in-cheek family game that encourages players to transport a “deposit” using nothing but their own derriere! Next, waddle over to the toilet without dropping your ‘Deposit’. During our thorough and meticulous testing, we found that players adopt a variety of different techniques for this section. Some squat and run, others select a forward shuffle, and some arouse their inner King of Pop with a courageous moonwalk. Finally, aim and release your projectile into the bowl. You may find yourself shouting ‘Bombs Away!’ or ‘Tally-ho!’ But will you get all five of the cheeky little ‘Deposits’ into the toilet before your opponent? 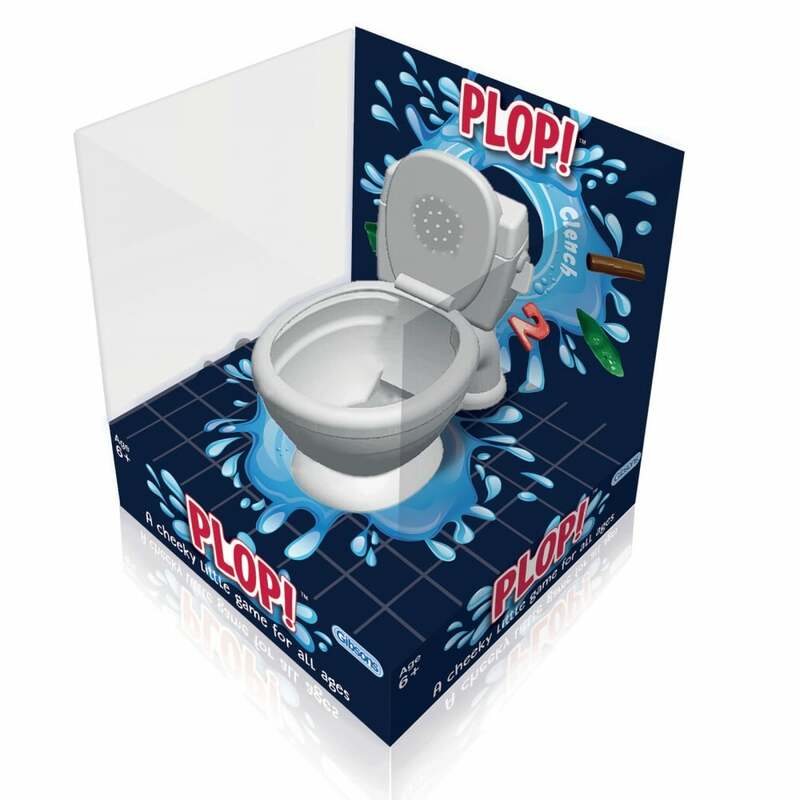 Contents: Toilet with sound effects, 5 deposits, 40 challenging cards, instructions and requires 2 x AAA batteries (NOT INCLUDED).